Syllabus of the Online Course (Subject): European Union-Chile Association Agreement. The European Union and Chile finished an Agreement in 2002, which included an Association Agreement (entered into force in 2003). The European Union-Chile Association Agreement covers all the fields related to bilateral relations between the European Union and Chile. 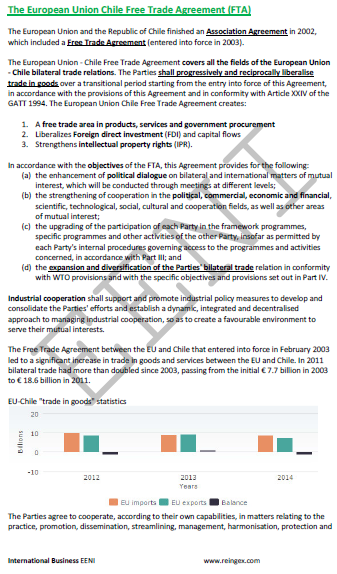 The European Union-Chile Association Agreement creates. Chile and the EU belongs to Latin American and European economic area of Western Christian Civilisation.